Maternal nutrition has long been known to affect a child’s development in the womb. In the first study of its kind, a new study published in the Journal of Pediatric Research has estimated that nearly half of pregnant women in the world are anemic. Low blood levels of iron in the mother affect an infant’s brain development—specifically, motor and neurocognitive abilities. Motor abilities include any form of movement, from standing and walking to the ability to grasp or lift small objects. Neurocognitive abilities include all aspects of a brain’s operation, such as judgment, decision making and reasoning. 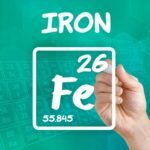 Low iron intake results in an inadequate supply of hemoglobin, the protein in the red blood cells that carries oxygen throughout the body. Although the amount of blood lost during the menstrual cycle is relatively small, it can result in anemia due to low hemoglobin. 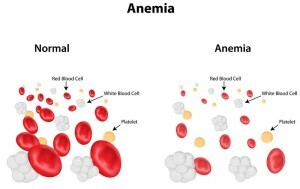 Between 35 to 58 percent of all women have some degree of anemia and the anemia tends to become worse during pregnancy, partly because the volume of blood in a woman’s body increases during pregnancy and more iron is needed. Iron is also necessary for the baby’s body to make blood and muscle tissue. Scientists studied brain tissue of otherwise healthy infants using magnetic resonance imaging (MRI) technology that can show the detailed structure of the brain. The researchers found infants born to mothers with anemia had neurons that were less complex and less well developed compared to those of infants whose mothers had normal iron levels. These structural changes increased the risk that the infants would have problems with motor (movement) abilities and supported previous research that found that infants with low iron tend to have problems with thinking and learning. 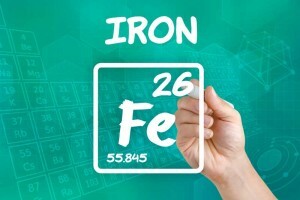 While iron depletion and anemia do not occur in all women during pregnancy, some groups of women are at higher risk of iron depletion or anemia. Teen mothers often have low iron stores, and a teen pregnancy may be unplanned, with little attention to nutrition either preconception or in the earliest stages of pregnancy. Women who are vegetarian or vegan are more likely to be anemic because they don’t eat meat because the kind of iron found in plant foods is not well absorbed by humans. Also, women who have heavy or more frequent periods prior to pregnancy are also more likely to become anemic. Pregnant women need more iron, both for their own needs and for their developing babies. Low iron affects not just the baby’s brain development, but also all aspects of the child’s growth and development. Current dietary recommendations for iron during pregnancy call for a minimum of 1000 milligrams a day. Most women need oral iron supplementation to achieve that intake, and since many enter pregnancy with low iron stores to begin with, supplementation should be started as soon as possible. Dietary sources of iron include red meat, pork, poultry, seafood, beans, leafy dark green vegetables, dried fruit and iron-fortified grain-based foods. The research was led by Bradley S. Peterson, MD, director of the Institute for the Developing Mind at The Saban Research Institute of Children’s Hospital Los Angeles and Catherine Monk, PhD, of Columbia University Medical Center, was grant supported by the National Institute of Mental Health and with the finalized results published in the Journal of Pediatric Research in early 2015. It is evident that when it comes to prenatal supplementation, iron is one of the key nutrients for a healthy pregnancy.